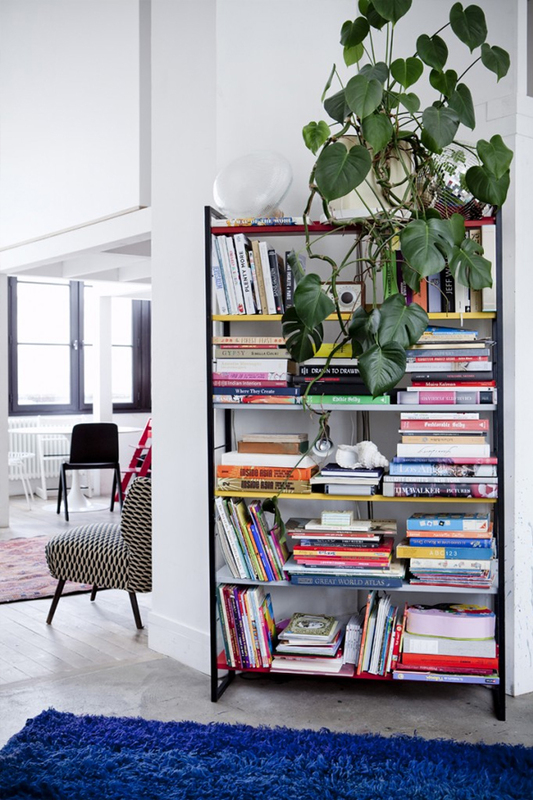 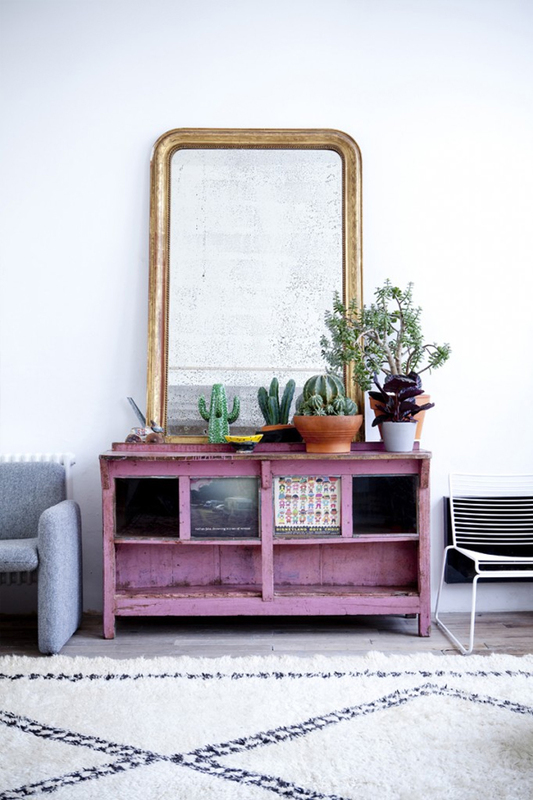 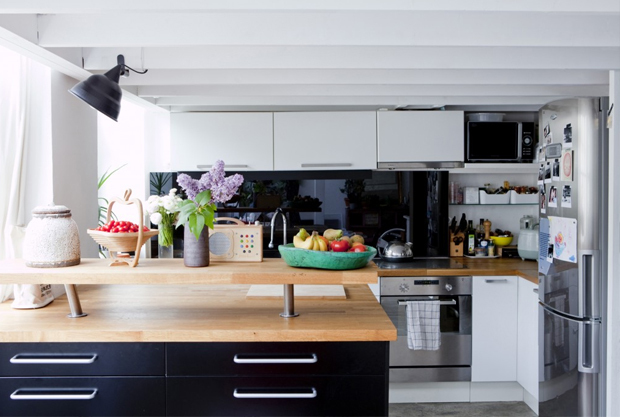 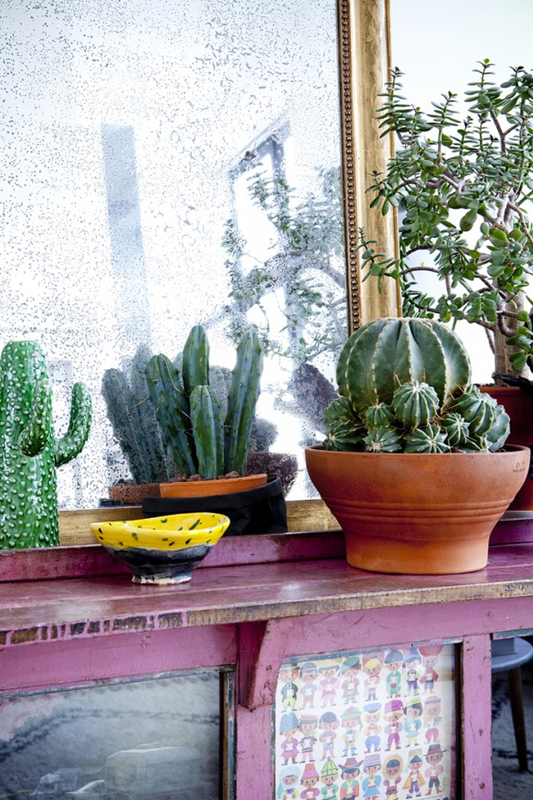 Welcome to the amazing home of Cécile Figuette from the wallpaper company Bien Fait. 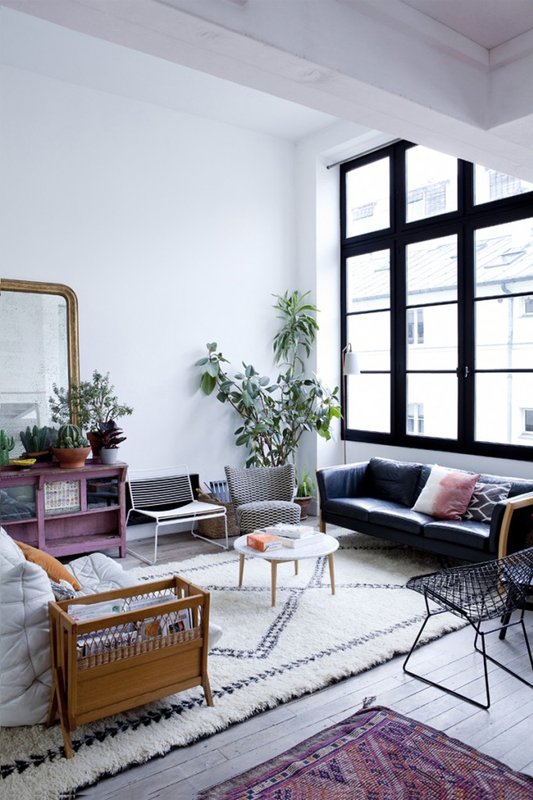 She lives in old Parisian workshop converted into an amazing loft. 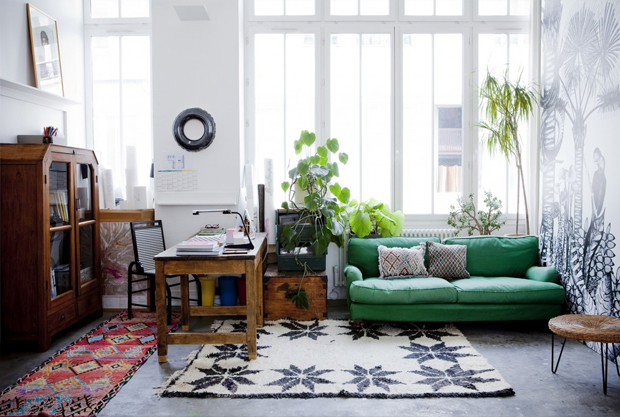 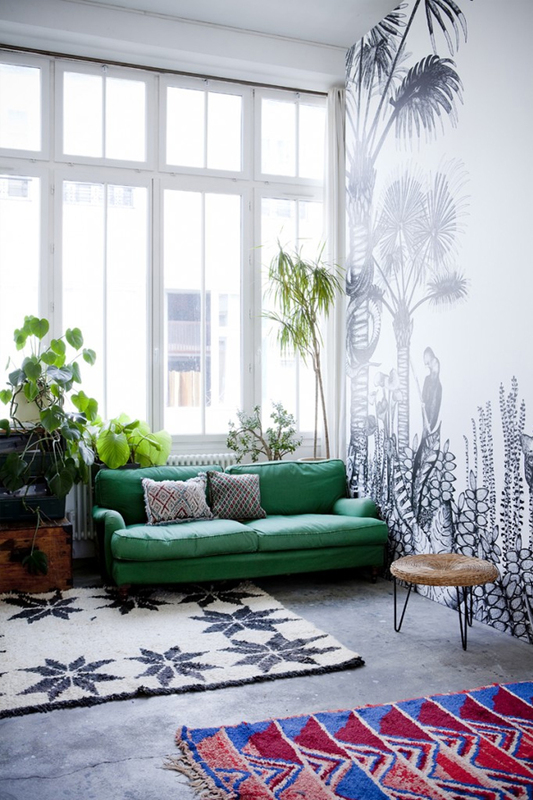 You can find here great mix of boho style with lots of vintage furniture pieces, cool pattern rugs, various houseplants and cacti and extra large windows providing large amount of light. 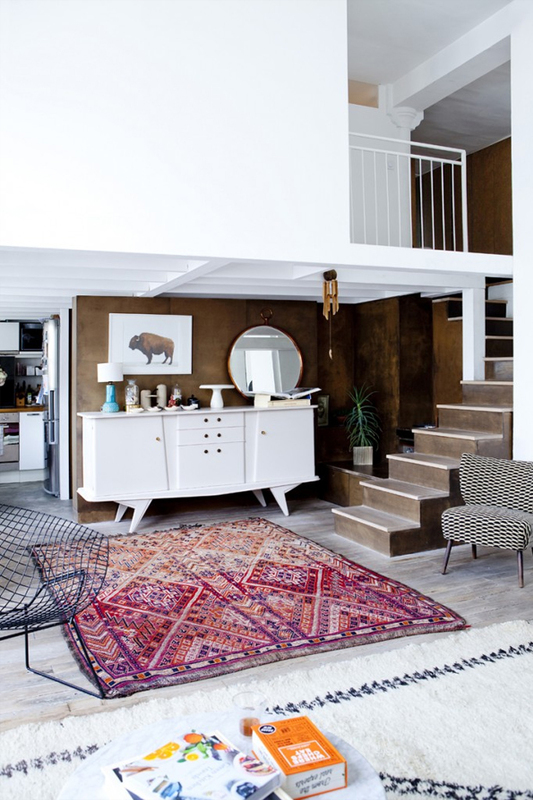 I really love this place a lot, recently there seems to be a growing trend of combining many kinds of rugs in one room, which is a very interesting and warming effect.